Yesterday, I visited durian orchard at Balik Pulau. I only get to know this place when my SIL mentioned it to us. Since my SIL just came back from overseas, we decided to go for durian feast with her friends and families. LIPAN flesh is slightly yellow. And it tastes sweet and creamy. The seeds are rather smaller as the LIPAN we had is a bit smaller compares to the usual LIPAN durian as it's towards the end of season for this orchard. 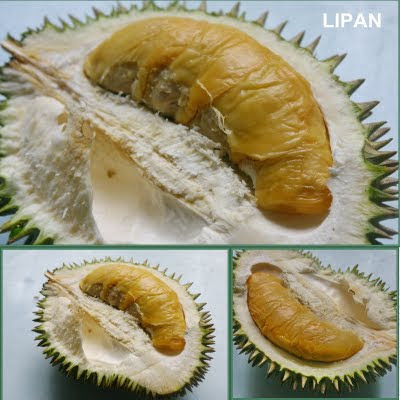 Well, this is quite a famous durian in the past. But frankly speaking this is the first time I had LIM FENG JIAO durain. 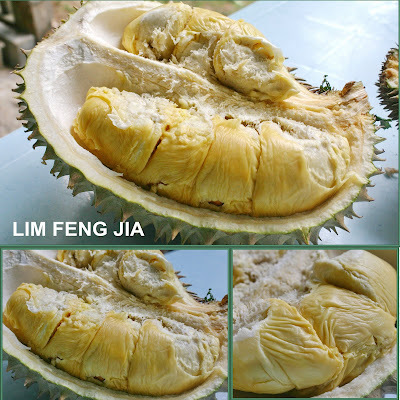 LIM FENG JIAO durian is usually big in size. And the taste is sweet and creamy and towards the ends it has a little hint of bitterness. 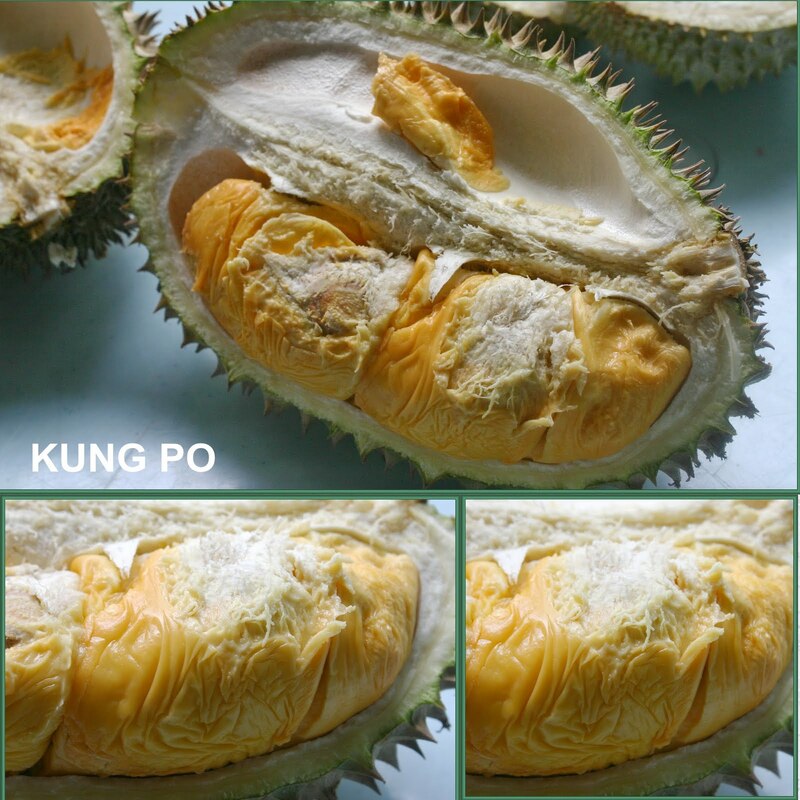 The KUNG PO that we had, the flesh looks slightly orange. And the tastes were sweet and creamy. 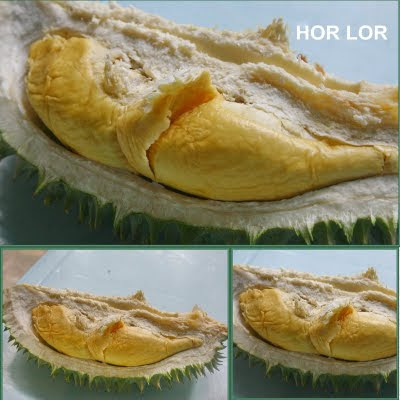 The HOR LOR that we had were not really good. As it is towards the end of seasons now and the flesh were slightly hard. I kinda like HOR LOR among the durians as it taste sweet and towards the end it has a hint of bitterness. This is one of the famous durians few years back. From the photos itself, you can see that the flesh looks creamy. It tastes sweet. It tastes sweet from the beginning and towards the end, it turns a bit bitterness. The seed is very very small. 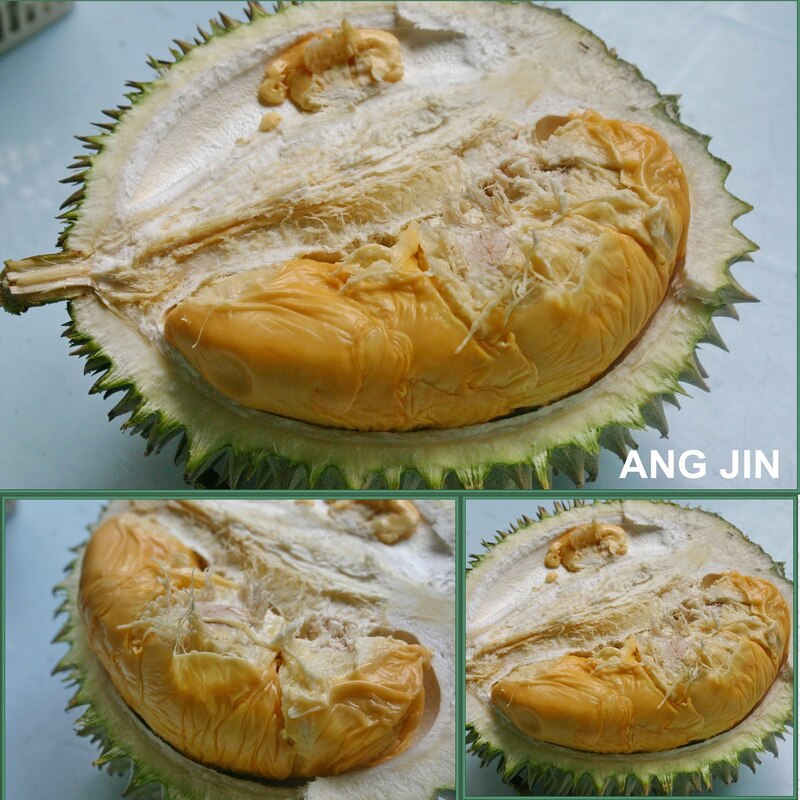 Just before we finished durians. Some one come back from the orchard with some durians. And they were asking us if we want to try ANG JIN. And since we never tried before, everyone agreed to tried it out. 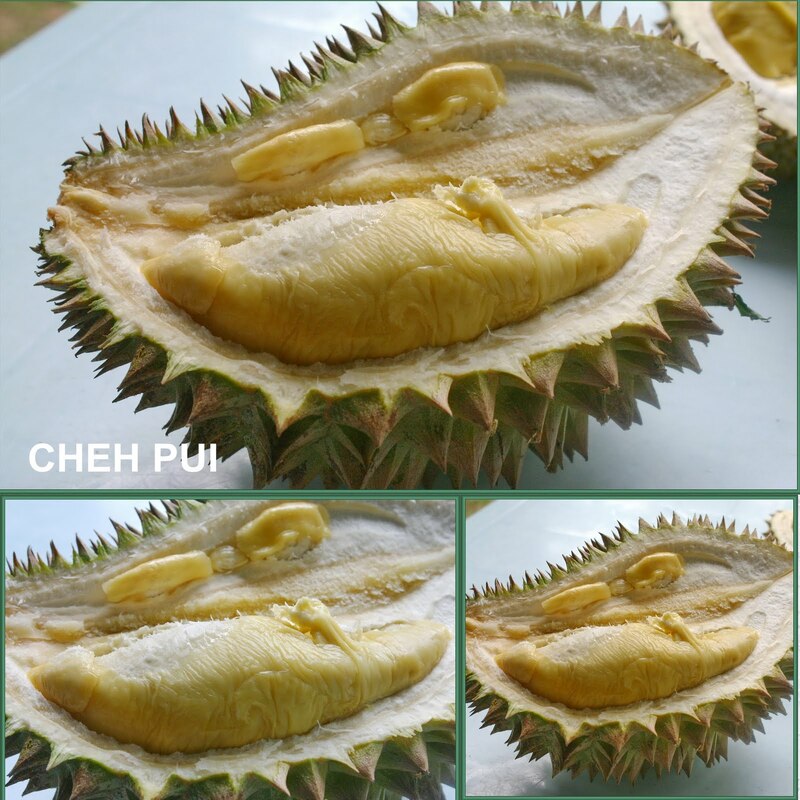 The durian tastes were hard to described. It has a kind of aroma that I don't know how to describe. It's towards the sweet side and the flesh looks deep orange in color. Since my SIL were cempedak fans. And we were asking whether it's the cempedak seasons right now. And we were told that now is not a cempedak season yet. But the owner had one cempedak. And he treated us the cempedak. It's very generous of him. And my SIL took back the rest to deep fried. You can contact John - 0134359293 for arrangement and booking for durians. Please call him for the more detail of their location. 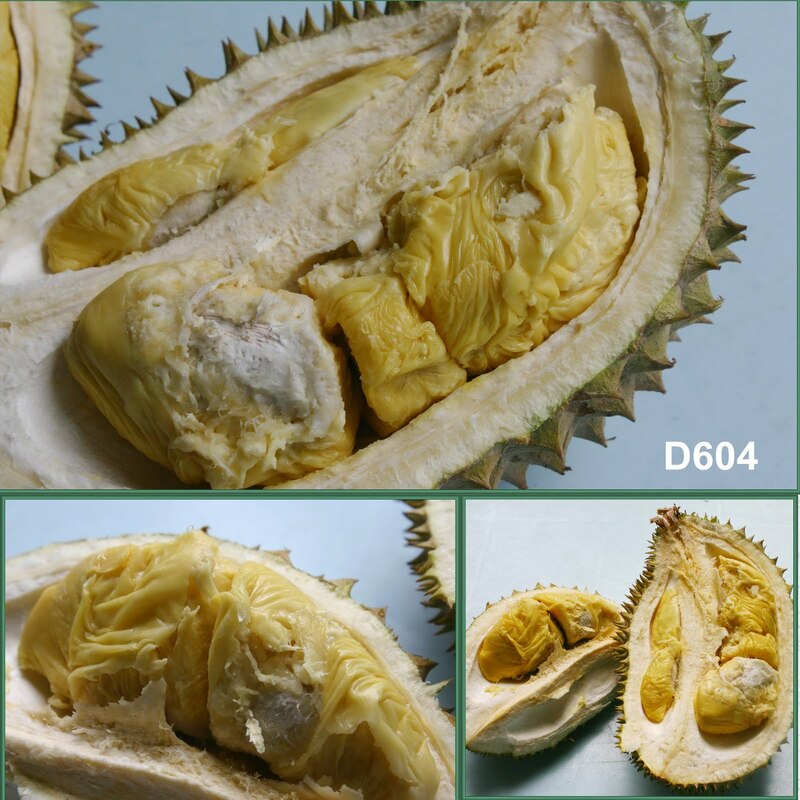 Overall, the charges of durian is around RM10/kg.